The Deputy Chief of Staff is officially the top aide to the Student Body Chief of Staff, who is the senior aide to the Student Body President. 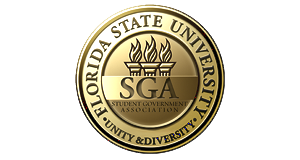 The Deputy Chief of Staff is responsible for ensuring the smooth running of the SGA bureaucracy, as well as managing the executive cabinet. Jayne McLaughlin is a junior from Tampa, Florida majoring in Management Information Systems and minoring in Computer Science. After undergraduate she hopes to continue her education with a focus of study in IT Leadership and Management. While attending FSU she has been involved in Transfer Leadership Institute and the Unite Party. Some of her passions include cooking, attending concerts, and exploring the Tallahassee community. If you ever have any questions or concerns, feel free to stop by her office located on the fourth floor of the Thagard Building.